Favourite of Ernest Hemingway, birthplace of the Bloody Mary, haunt of generations of expat Americans in Paris – there are few watering holes that can boast the legacy of Harry’s New York Bar. What do drink on Thanksgiving Day ? Every year Americans worry more about food & drink on thanksgiving day than any other day of the year. Crème Yvette, now available in Us market. WORLD BEST BARS….What about ITALY ??? The 2011 World’s 50 Best Bars list has been published by the UK Trade Magazine Drink International. 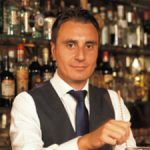 Once again continuity and consistency in costumers service and quality cocktails has been rewarded.